Global independent evidence shows that Ozone is more effective for disinfecting and deodourizing than laundry operations using thermal or chemical disinfection processes. iZoneO3 eradicates 99.9% of viruses such as MRSA, C.diff, E.Coli, Norovirus, Parvovirus and other harmful bacterial infections and biological infestations. Designed to disinfect and deodourize at temperatures below 30°C an iZoneO3 system can significantly reduce energy, water and detergent useage as well as minimise carbon footprint. Using the ultimate in affordable laundry disinfection technology, iZoneO3 systems work at low or ambient temperatures (below 30°C) to kill harmful bacteria and viruses, whilst saving money on utility bills, reducing the carbon footprint and extending the life of fabrics. 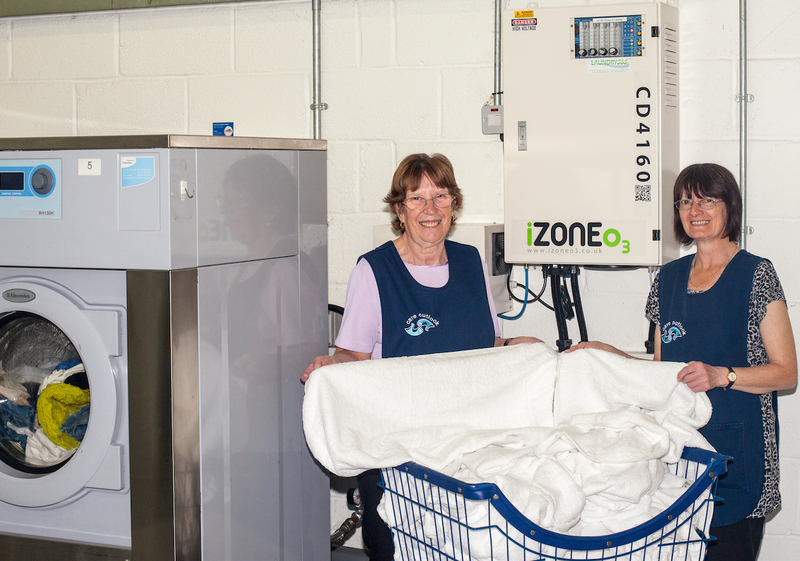 An iZoneO3 - Ozone Disinfection System is an essential component in an effective laundry operation (especially where towels, linens or woolens are to be processed). Laundering with an IzoneO3 - Ozone Disinfection System results in less wear on fabrics during the washing and drying cycles, so that delicate fabrics can be safely disinfected. Towels, linens and woolens typically last 10-50% longer as consequence of the iZoneO3 laundering process which results in soft towels and fresh smelling linen. 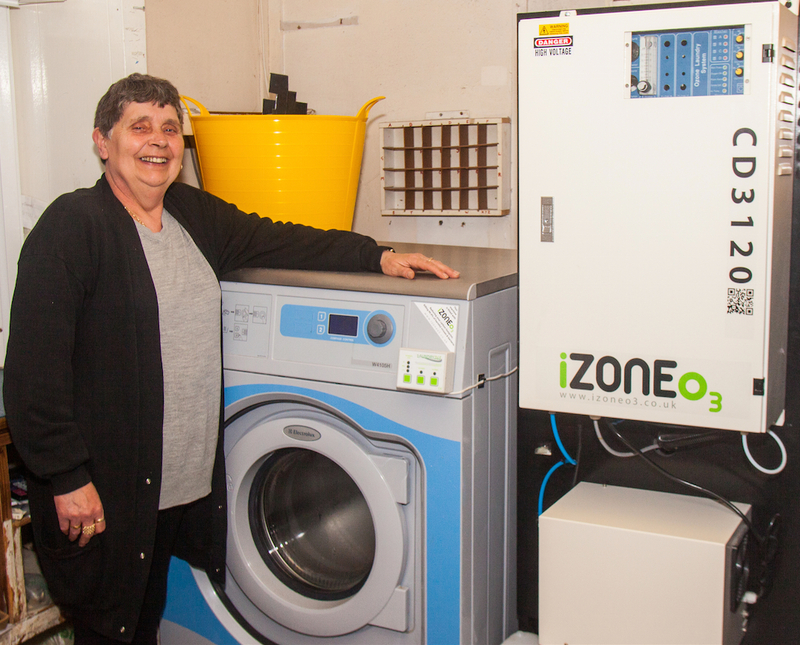 iZoneO3 – Is the only UK-based active and accredited Member, for Laundry Operations, of the International Ozone Association. 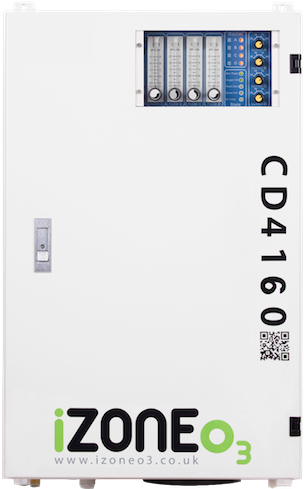 iZoneO3 - Ozone Disinfection Systems - low cost comprehensive infection control for when Hygiene is a Priority and Cost Control is Important. iZone03 is an affordable, next generation, Ozone technology. iZoneO3 provides options that can suit any application and be fitted to most leading brands of commercial and industrial washing machines. With an iZoneO3 - Ozone Disinfection System, every wash cycle is disinfected and deodorized. Every wash load processed with an iZoneO3 - Ozone Disinfection System will ensure the softest and freshest-smelling laundry items without the need for final rinse conditioners. iZoneO3 is designed to be supported by accredited engineers throughout the UK and ROI.